The Proxmark 3 RDV 4 has been officially launched. Learn why it's perfect for pen-testers. The Proxmark is an RFID swiss-army tool, allowing for both high and low level interactions with the vast majority of RFID tags and systems world-wide. 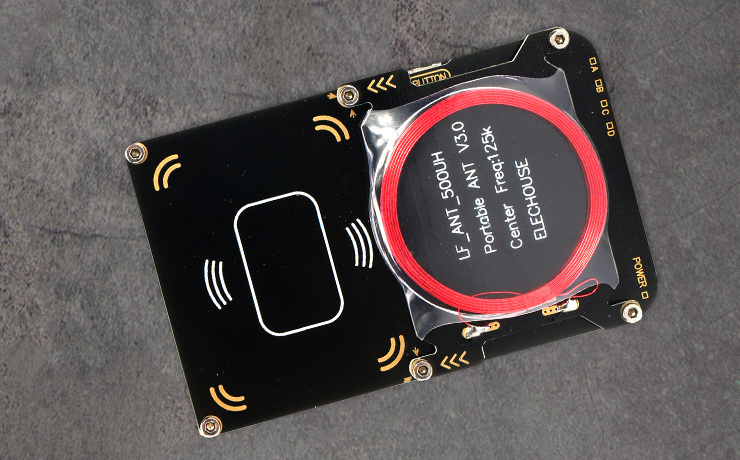 Originally built by Jonathan Westhues over 10 years ago, the device has progressively evolved into the industry standard tool for RFID Analysis. Its versatility has seen it adapted to many industries and uses: from RFID enthusiasts, academic research, product development, law enforcement and penetration testing. There has been a rapid evolution of the hardware and software in the last few years, resulting in mature and minaturised versions of the hardware. There are revisions optimised for in-the-field use, such as red-teaming or pen-testing, and desktop versions tweaked for research use in the office or lab. The miniature size of latest Proxmark, along with its standalone mode and Android-based tools make it the ideal tool for testing, sniffing, replaying and cloning in red-teaming environments. 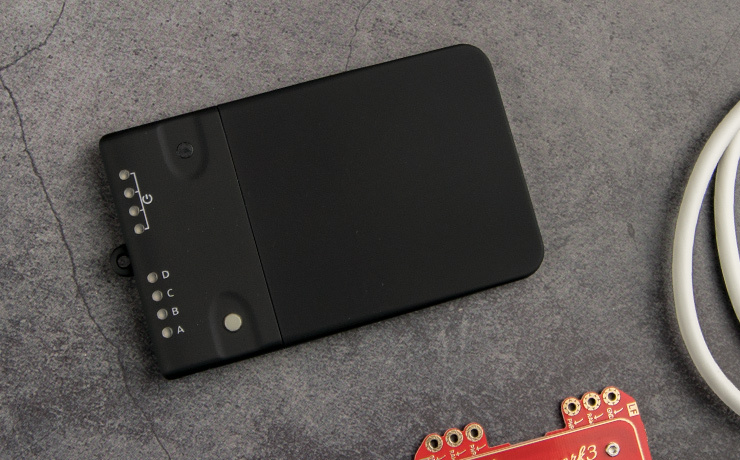 Access to low-level sniffing, logging, demodulating and replay tools make the Proxmark a must-have device for anyone developing products or services in the RFID space. 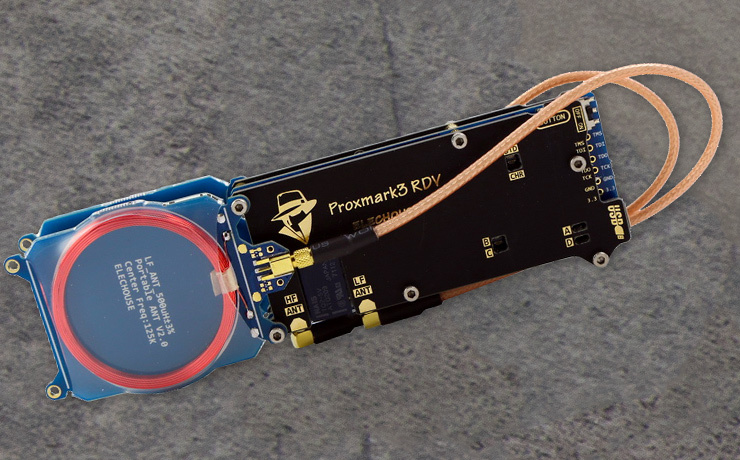 The Proxmark is the tool behind all major RFID Security Research breakthroughs: Mifare Classic Crypto cracking, Mifare PRNG analysis, VingCard exploitation & defeat to name a few. 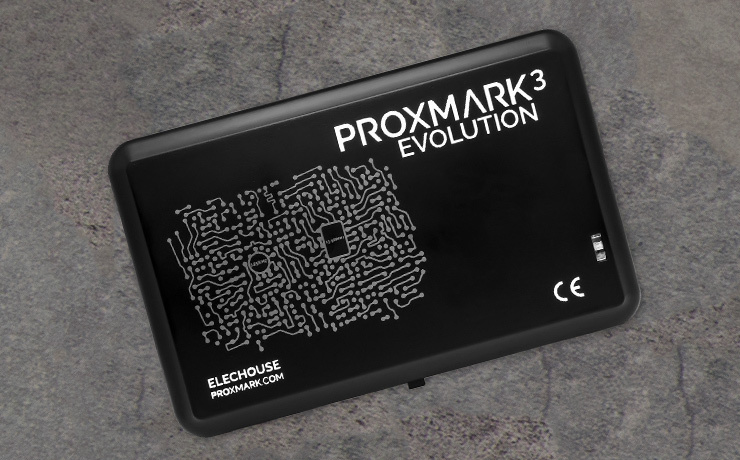 The Proxmark is found on the desk of thousands of hobbyists, hackers and makers worldwide. Its comprehensive codebase provides simple RFID reading, writing, cloning, cracking, and emulation. Over the last ten years, there have been several generations and revisions of the Proxmark hardware. There are several non-supported and legacy devices, and also off-market / clone versions devices as well. The below table summarises the Proxmark 3 hardware variations. If you are looking to purchase hardware, it is recommended purchasing current and supported hardware. Made for pen-testers. Tiny, discreet and expandable. Built for researchers, developers and hackers. Small foot-print, internal antennas. Retired. The first compact and portable Proxmark 3. Retired. Originally designed as a low-cost version for the Chinese domestic market. Ritred. The original Proxmark 3. Due to its Open Source nature, the Proxmark Project has a tendency to move very quickly. Stay on top of the latest news below. With over 10 years of legacy hardware and code, finding up-to-date accurate tutorials, reference documents and firmware can be a difficult task. Below is a curated, regularly updated list of Proxmark 3 tutorials and resources. Lab401 Academy provides tutorials dedicated to RFID, RF and Pen-testing. Hacker Warehouse provides high-quality training videos for RFID and Pentesting tools. The Proxmark is a professionaly designed sensitive, high performance device. As with any RF device, manufacturing tolerances and supply chain reliability must be kept tight. While it may be tempting to purchase a 'discount' device from AliExpress - these are grey market clones - with poor performance and lifespan. For the Proxmark RDV4 and Proxmark Evo, there are only two official distributors: Lab401 and Hacker Warehouse. High quality tools require some investment; purchase from an official distributor to avoid frustration and to support the engineers that maintain the Proxmark Platform. Lab401 provides RFID, RF and Penetration Testing tools for the European market, specialising in hand-picked, high quality tools. Android Compatible Mifare, Ultralight, NTAG..
Hacker Warehouse provides the full spectrum of tools for security professionals: non-destructive entry tools, RF & RFID tools, and a wide variety of pen-testing hardware.